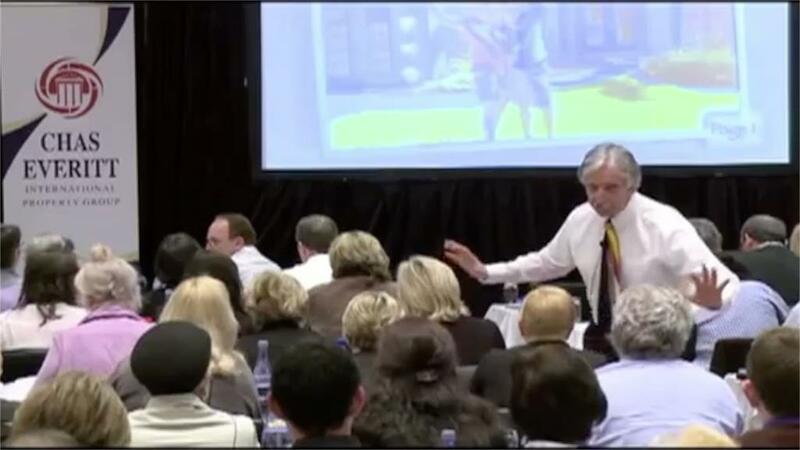 Ed has been delivering educational sessions since 1990 throughout the U.S., Brazil, Malaysia, New Zealand, Singapore, South Africa, Sweden, and the United Kingdom. Regardless of your profession, the seminars not only are tailored for your business area but are also customized to accommodate the specific needs of your culture. To see what an Ed Hatch Seminar can do for you and your organization please contact us. Time … is your greatest asset! Controlling how effectively and productively you manage it begins with a system for measuring how you spend it. From the that solutions will become apparent … better systems to create more focus, time-blocking to eliminate procrastination, starting or building a team if/when necessary, and “budgeting” for balance. Use Your Head... For a CHANGE! In everyone’s professional and personal life CHANGE is inevitable; growth, on the other hand, is optional. Whether you are progressing from one predictable stage of professional growth to another or trying to deal with the ever-changing market, there are 5 Essential Steps for successfully creating and managing change that will enable you to SUCCEED in any market. If you are READY and WILLING, this session is for you because you will certainly leave … ABLE! Participants will leave this seminar with not only a complete understanding of the most current, innovative and effective negotiation strategies, but also with specific real estate applications for their day-to-day negotiations with and for their clients. More successfully handle the most common seller objection to pricing at fair market value and wanting to perform a “commission-ectomy”. Yes! You can stand up for yourself against unreasonable demands by understanding – constructing – and delivering what master negotiators call a “Positive NO”. Predict unreasonable demands, know when and how to say a respectful NO, and move forward with a variety of options for mutual gain … and still get paid! Unless you are hearing impaired, hearing simply happens. The act of LISTENING however is a learned skill and something you consciously choose to do. Once learned it will be the most impactful “gift” you can give to turn confrontation into cooperation. It will cost you nothing but will mean everything to the other side! You can give advice to clients who do not trust you … they just won’t take it! So, the successful resolution of any negotiation begins with overcoming the most predictable form of resistance … DISTRUST. In this session you will learn the 3 essential elements that affect the outcome of any negotiation and application for each, the 3 predictable forms of resistance, the implementation of 4 specific strategies for gaining the TRUST & LOYALTY of the client. New Negotiating Edge ... 4 Steps for Getting Past NO! YES, BUT … “your commission is too high” … “we need to sell for more” … “we want to offer less” … are just a few examples of the objections that arise CONSTANTLY! Since they do would it not be smart to learn a PRESENTATION to AVOID them … a STRATEGY to successfully HANDLE them … along with the specific LANGUAGE for OVERCOMING them? If that makes sense to you, then this is the session for you! What to say, when to say it, and how it should be said, is the essence of any negotiation. In mastering the language of negotiating, it is important to understand that the form – style – design of communication is as important as the content. The following trilogy is designed so the student has a more in-depth understanding of the importance of and strategies for “connecting” with the client before attempting to convince … influence … and negotiate with and for the client. You are about to commit to investing your most valuable assets … your time and energy … to a new client. The question is … is this a “REAL” buyer or seller … is this client TRULY MOTIVATED to buy and/or sell and what is the motivation? In this session you will learn the fundamental difference between “reasons” and “motivations”, a 3 Step Process developed at the Stanford Research Institute for quickly and accurately determining “dominant” motivation, and 5 basic counseling principles in probing for specific customer/client motivation. There are fundamental design elements in any successful personal plan. First, the FOUNDATION … choosing and committing to the essence of what will make you “famous” to your clients … your UNIQUE – COMPELLING – VALUEPROPOSITION. Second, the CORNERSTONE … an accurate and measurable “financial target” which represents the quality of life you wish to create for yourself and family. In this session we will … DESIGN that vision … IDENTIFY appropriate operating and marketing expenses … CALCULATE a financial target … TRANSLATE that target into a number of settled units … and ANALYZE your personal promotion options to assure SUCCESS. If you are about to COMMIT or recommit your time, money, and energy to an effective personal promotion strategy … this session has been designed for you! We will create an effective on-going strategy based on NAR “hard fact and data” to assure your plan is … FOCUSED on how most clients find their agent … PROACTIVE with step-by-step strategies for “connecting” with those clients … and, PURPOSEFUL – FORWARD THINKING to not only attract clients first … but also keep THOSE CLIENTS AND ALL THEIR FRIENDS – FOREVER! This program is unlike any other program you have attended. It is not a listen and learn program … it is a listen and DO program. It includes not only the 5 Basic Principles for creating a successful repeat and referral business, but also, a step-by-step … month-by-month implementation of those principles in the form of specific strategies, techniques, and dialogues. This is a self-administered “coaching program” that will guide you to a more FOCUSED … PROACTIVE … PURPOSEFUL … ENJOYABLE … and SUCCESSFUL REFERRAL BUSINESS. The participants will leave this seminar with not only a complete understanding of the 5 Principles of a successful repeat and referral business model, but also, a specific 10 step “self coaching” program implemented over a 12 month period. Understand the changes required in their present business practices to accomplish a more proactive and productive referral based business. 98% customer satisfaction – SO WHAT! Satisfaction is NOT THE TARGET – LOYALTY IS! If you are about to COMMIT or recommit your time, money, and energy to an effective customer service package strategy … this session has been designed for you! We will create an effective step-by-step strategy FOCUSED on creating raving – referring fans with PROACTIVE elements to exceed their wildest expectations … a complete package FOCUSED on turning every ordinary situation into and EXTRAordinary experience. ABANDONED … is how clients describe how they feel after the conclusion of a transaction. It is also the number one reason why at settlement almost 80% say they would use their agent again … but only about 12% do! If you are committed to a long-term career, it is time to stop thinking transaction and begin FOCUSING ON RELATIONSHIP! In this session we will create a PROACTIVE – PURPOSEFUL – FORWARD-THINKING strategy for keeping your CLIENTS AND ALL THEIR FRIENDS – FOREVER! The client's confidence is the most precious asset for anyone who "sells" the promise of unique ... compelling ... EXTRA-ordinary service. Superb execution of that service CONSISTENTLY is the cornerstone of confidence building and happens only with a FOCUSED - PROACTIVE - FORWARD THINKING plan. By failing to develop that plan and deliver on that promise you risk losing your clients' - confidence - trust - repeat business - referrals - EVERYTHING! CREATE a SPECIFIC ... 6-Step Client Service "Package"
ITEMIZE the SPECIFIC ACTIONS ... for each step of the "Package"
Using NAR DATA – long-term TRENDS – and the EXPERIENCE of successful agents we have identified 5 key strategies to PROPEL your PERFORMANCE. Included are strategies FOCUSED on attracting a large quantity of QUALITY clients … PROACTIVELY indentifying and delivering unique/compelling VALUE … PURPOSEFULLY keeping those clients repeating and referring … and a REAL WORLD time-management system to increase PROFESSIONAL PRODUCTIVITY and PERSONAL BALANCE. If you are looking to POWER UP your business … this session is for you! Time … is your greatest asset! Controlling how effectively and productively you manage it consists of 3 step system with a system for measuring and tracking how you spend it. From that solutions will present themselves … better systems to create more focus, time-blocking to eliminate procrastination, starting or building a team if/when necessary, and “budgeting” for balance. You’re about to commit or recommit your greatest assets (time – energy – money) on creating and implementing effective lead generation strategies. Before you do there is objective and demonstrable information that clearly points to where and how to focus those assets to generate the largest quantity of quality clients at the lowest cost. The GOAL isn’t more money – it’s MORE PROFIT! Get the highest return on your time, money, energy invested by “budgeting” for and focusing on profit. Set a realistic income “TARGET” with reasonable operating/marketing expenses and track and analyze basic numbers for untapped sources of profit. CHANGE is inevitable in everyone’s professional and personal life; GROWTH, however, is optional. Using NAR DATA and the EXPERIENCE of successful agents we have identified 7 key strategies to PROPEL your PERFORMANCE. Included are strategies FOCUSED on attracting a large quantity of QUALITY clients … PROACTIVELY indentifying and delivering unique/compelling VALUE … PURPOSEFULLY keeping those clients repeating and referring … a time-management system to increase PROFESSIONAL PRODUCTIVITY and PERSONAL BALANCE … and the most CURRENT and INNOVATIVE negotiating strategies. If you are looking to POWER UP your business … this session is for you! What percentage of your day would you say you are actively attempting to influence … persuade … negotiate with others? We are living in a world fraught with strongly felt differences that end up in conflict, and the intuitive path for most of us whether in business or our personal relationships is to win even at the expense of others. The road from confrontation to agreement is not the elimination of these differences … that is not even possible. So, how do you go about winning the cooperation of others in an environment of strongly felt differences … winning others over vs. winning over others? The answer is by understanding … mastering … and implementing the principles of influence … persuasion … leadership … negotiation. Contact Ed today to book a seminar!